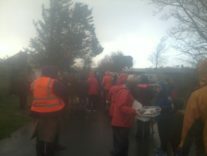 Waterford show us what’s possible in a year ! 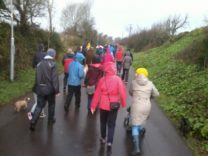 The Dungarvan Leader report this week that the entire 50km from Waterford to Dungarvan along the CIÉ owned railway will be converted into a Greenway by late summer. 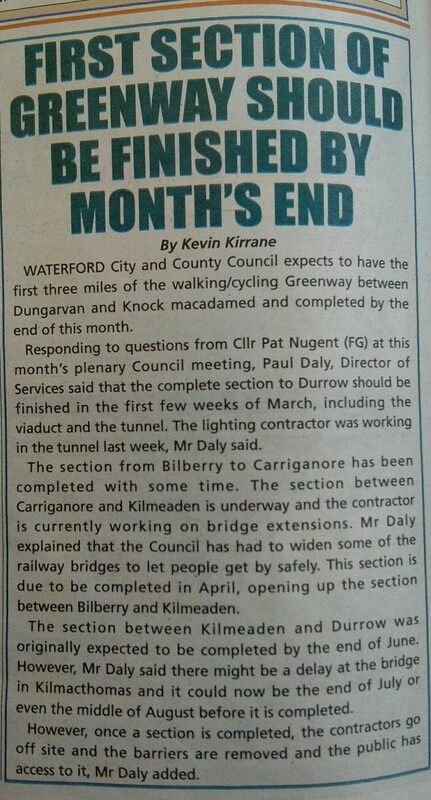 This is just over a year since Waterford City & County Council began works on the route which is licensed to them by CIÉ. This clearly shows the time-line in which projects like this are deliverable within, meanwhile in Kerry we see no developments on similar state owned lines between Tralee and Fenit and on to the Kerry border. 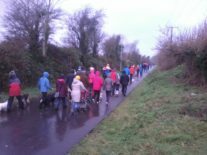 Posted in eurovelo, Irish Rail, Kerry co co, Tralee to Fenit Cycleway/ WalkwayTagged cie, kerry county council, waterfordLeave a Comment on Waterford show us what’s possible in a year ! 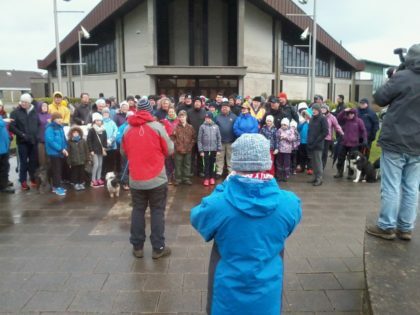 Despite the miserable weather, GAA, rugby and even great surf conditions over 100 people (and a good collection of dogs) came out on Sunday last for the 4th Walk the Line to call for the continuation of the Tralee to Fenit Greenway. 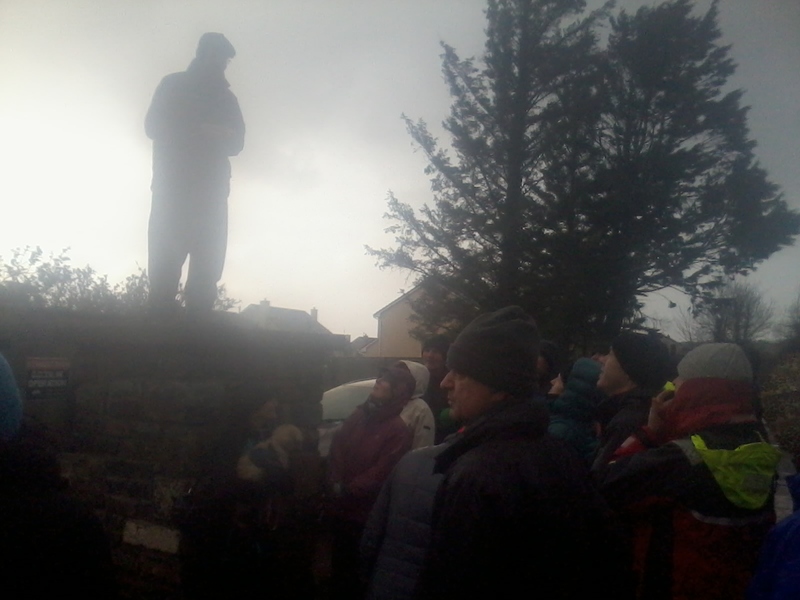 The group braved the wind and rain and walked the completed section of the Greenway from the Big River out to Mounthawlk, where representatives of community groups, the Great Southern Trail and election candidates called time on excuses and demanded that work recommence on the route, before a group continued on further to the junction of the Feint and North Kerry railways. With the general election campaign in full swing it was great to see a number of candidates for the Kerry constituency attend the walk and show their support for the project, those included, Donal Corcoran (Renua), Michael Fitzgerald (Green Party) and Brendan Griffin (Fine Gael). 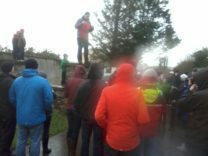 Apologies were also received from Arthur Spring (Labour), Martin Ferris (Sinn Fein) and John Brassil (Fianna Fail) who although unable to attend gave the full support for the project. 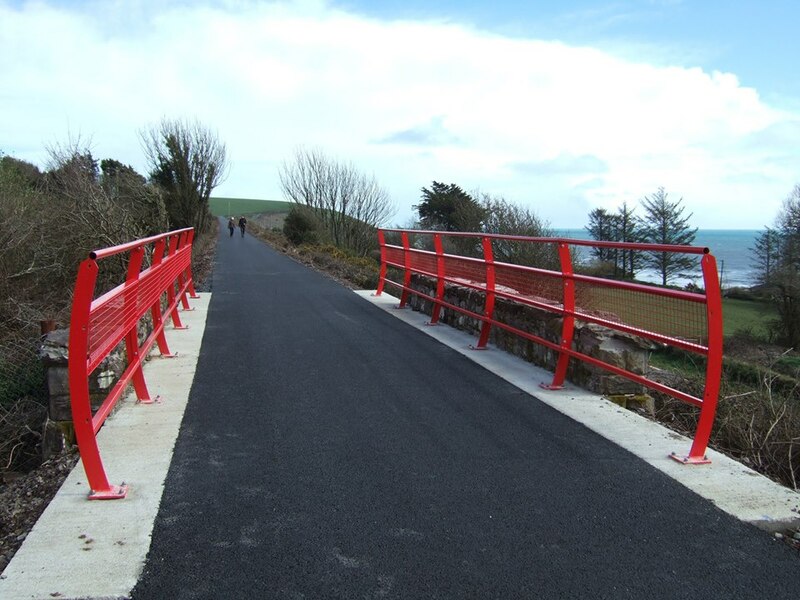 In 2009 Spa-Fenit parish council secured funding for a project that had been talked about or years, namely the redevelopment of the old Tralee to Fenit railway as a greenway. By 2011 there was still no development with the project due to stories of ‘individuals’ claiming ownership of the state-owned land, lack of funding, planning issue and issues dealing with CIE. With fears that this project might never see the light of day a group of people young and old came out on a miserable October Sunday afternoon to Walk the Line, and despite the erection of barricades that’s what they did. 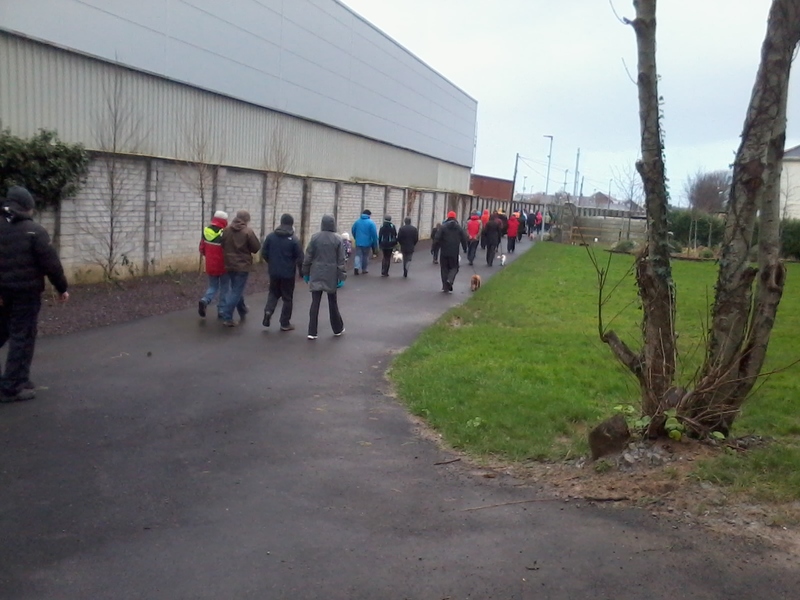 Weeks before Christmas on an equally miserable Sunday people came out to Walk the Line again, this time not even a JCB and barbed wire could stop them… within months of these walks despite years of inaction, work began on the line, the fruits of which we can see today. That was 2011, we now find ourselves in 2016 and despite a 500m extension to the train station the story is much the same, depending on who you talk to this lack of progress is down to ‘individuals’ claiming ownership of the state-owned land, lack of funding and planning issues, issues dealing with CIE or some combination of the above. 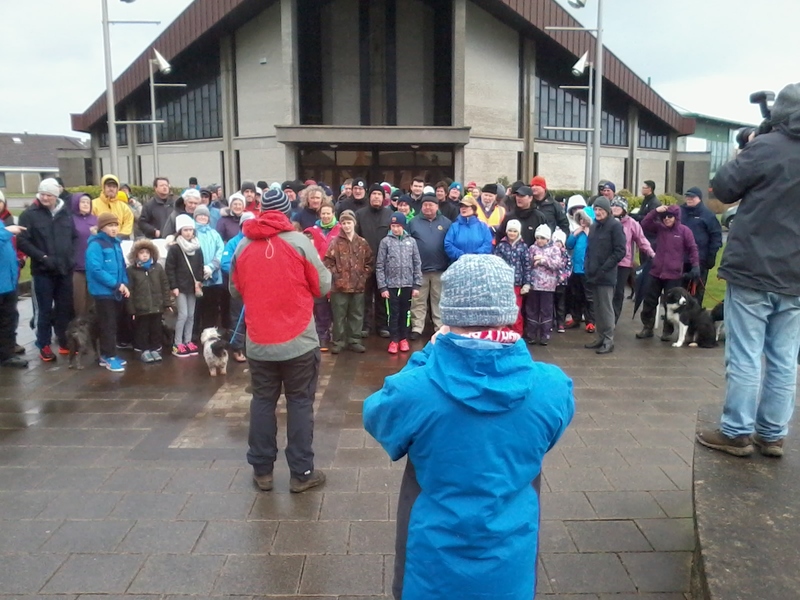 It took people power to get what we have today and if we want to see further progress we have to ensure that this project is not forgotten about. 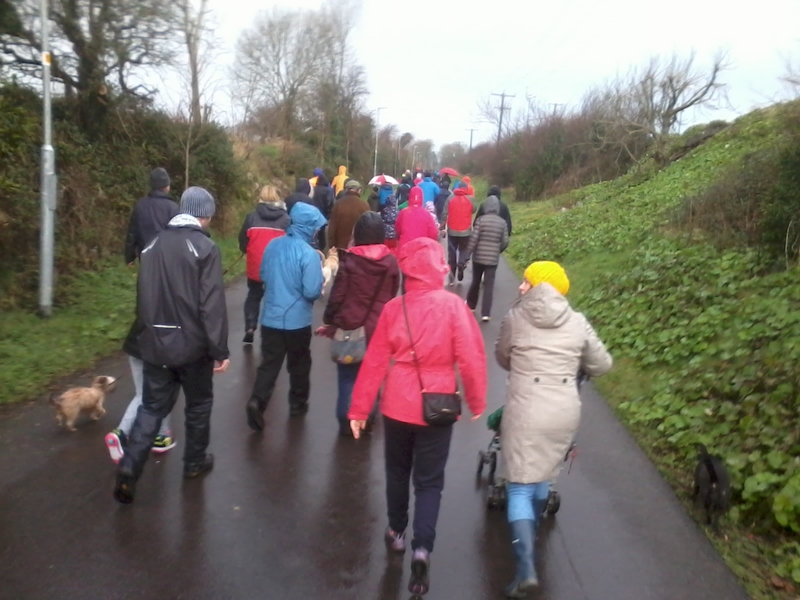 If you wish to see progression of this trail to Fenit then make a stand, come Walk the Line this Sunday the 7th of February, meeting at St. Brendan’s Church 2.30 or a 3pm departure. 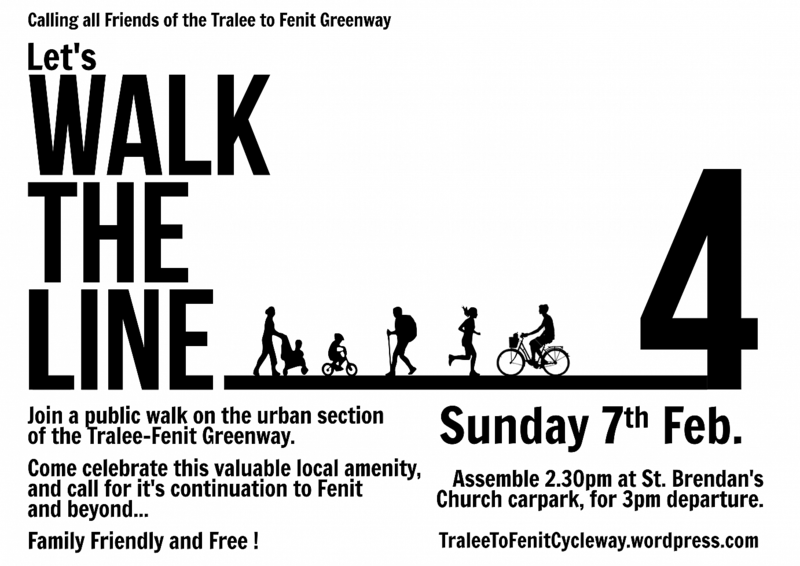 And remember politicians will also be calling to your door over the next few weeks, make sure you ask them about this project which could revitalise the area.